Researchers found that no matter what form of story telling the participants used, the brain networks that were activated were the “theory-of-the-mind” network, which is affected by the character’s intentions, motivations, beliefs, emotions and actions. For thousands of years, humans have relied on storytelling to engage, to share emotions and to relate personal experiences. 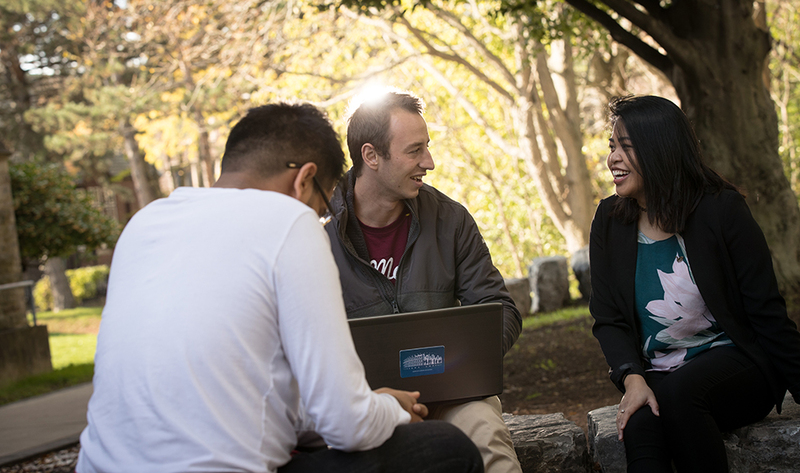 Now, psychologists at McMaster University are exploring the mechanisms deep within the brain to better understand just what happens when we communicate. 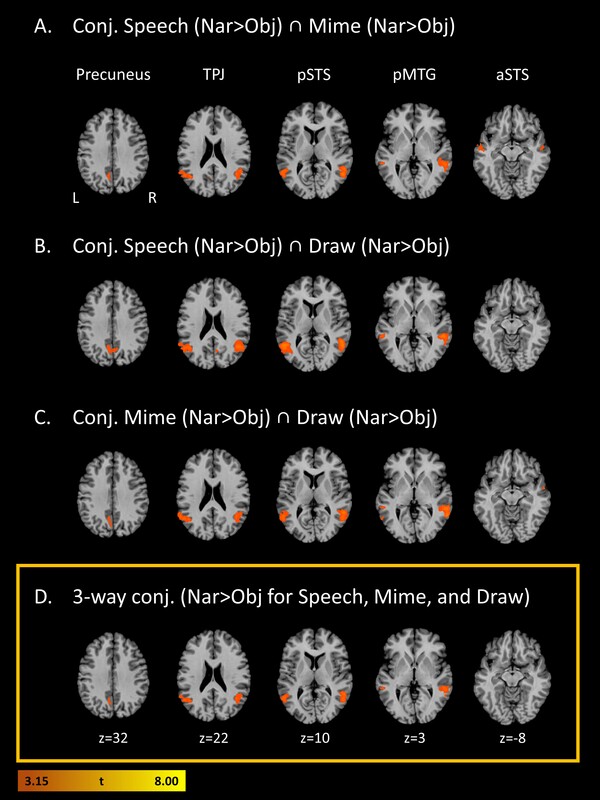 New research published in the <em>Journal of Cognitive Neuroscience</em>, suggests that no matter how a narrative is expressed—through words, gestures or drawings—our brains relate best to the characters, focusing on the thoughts and feelings of the protagonist of each story. “We tell stories in conversation each and every day,” explains Steven Brown, lead author of the study, who runs the NeuroArts Lab at McMaster and is an associate professor in the Department of Psychology, Neuroscience and Behaviour. “Very much like literary stories, we engage with the characters and are wired to make stories people-oriented.” An important question researchers set out to answer was how, exactly, narrative ideas are communicated using three different forms of expression, and to identify a so-called narrative hub within the brain. For the study, researchers scanned the brains of participants using fMRI and presented them with short headlines. For example, “Surgeon finds scissors inside of patient” or “Fisherman rescues boy from freezing lake.” They were then asked to convey the stories using speech, gestures or drawing, as one would do in a game of Pictionary. The illustrations were created using an MRI-compatible drawing tablet which allowed the participants to see their drawings. Researchers found that no matter what form of story telling the participants used, the brain networks that were activated were the “theory-of-the-mind” network, which is affected by the character’s intentions, motivations, beliefs, emotions and actions. <img class="aligncenter size-full wp-image-72643" src="http://brighterworld.mcmaster.ca/wp-content/uploads/sites/2/2018/09/Figure3.jpg" alt="" width="4500" height="6000" /> “Aristotle proposed 2,300 years ago that plot is the most important aspect of narrative, and that character is secondary,” says Brown. “Our brain results show that people approach narrative in a strongly character-centered and psychological manner, focused on the mental states of the protagonist of the story.” Next, researchers hope to compare narration and acting to determine what happens when we tell stories in the third-person or portray characters in the first-person.